The fourth grade is studying fish, and that means a trip to the Cherrydale Aquarium! 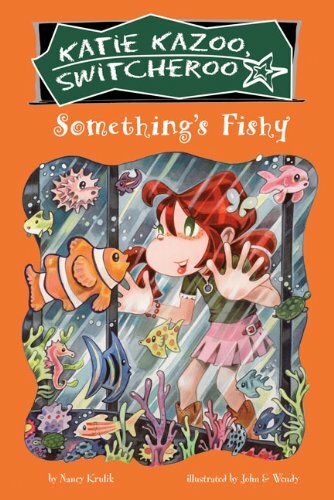 Everything is going along just swimmingly until Ms. Sweet drops her brand-new engagement ring into the tank-and Katie turns into a fish! Now she's stuck in a tank and she's all wet. Well, at least she can try to find Ms. Sweet's ring . 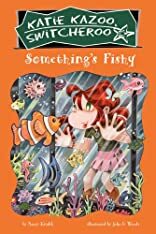 . . although that may be difficult when Katie the clown fish is being chased by a shark!